How to bring back the “View Image” option in Google Image search. Google, the Search Engine giant is known to update their products with new features and offering the better user experience. 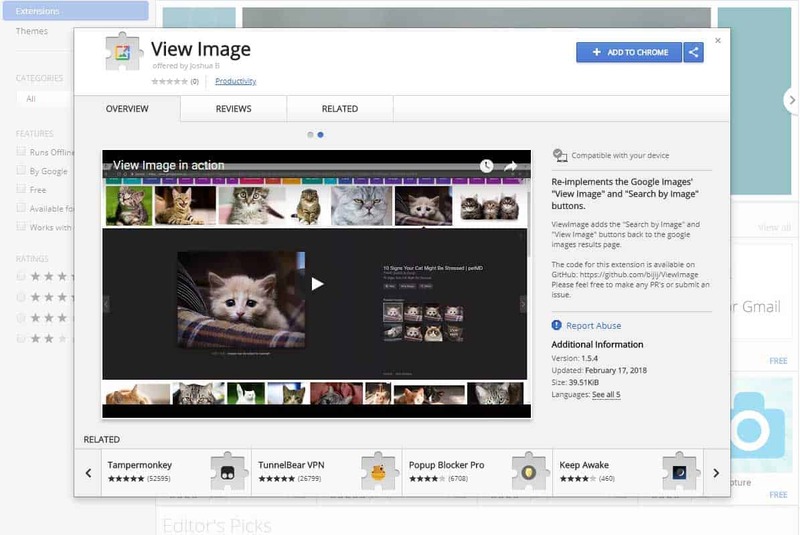 Among the large product repository, Google’s Image search engine allowed users to search the Web for image content, view it and even download it. But in recent update, Google has removed the option to View Image & forcing the users to visit the website where the image was uploaded. If you’re to blame Google, like every other Internet user, you’re not aware of the background story. Around 2 years back, Getty Images, an American stock photo agency filed antitrust charges against Google in the EU, taking issue with the company’s image scraping techniques to display image search results. The View Image option not only allowed unauthorized redistribution of images but also restricts a publisher’s visiblity to the visitor. Earlier this week (15th Feb 2018), Google and Getty Images settled for an agreement to remove the “View Image” option from the Image results and Getty withdrew its charges against Google. Changes like the removal of direct image links were apparently part of the agreement. Google announced this new update saying that, “This update will help connect users and useful websites.” While some might agree to this, as Google didn’t do much to display the copyright status of image & the information regarding who owned the image. So don’t you think Google was somewhat involved in Image piracy? While the update was found helpful by many creators, the users didn’t find it quite helpful as viewing an image would require few more clicks thereby degrading the user experience. What if the website is full on annoying Ads? As soon as the update was announced, it was time for the developers to find the solution. So let’s check out how you can get the old “View Image” option back without any hassle. Joshua B, the developer of a browser extension has developed an extension “View Image” which restores the “View Image” and “Search by image” buttons back into Google Image Search. While we don’t recommend installing new browser extension, the developer has also published the source code of this extension making it Open Source. Looking at the codes, we didn’t find any traces of sessions tracking or adwares. The installation is pretty easy. Just click on the link depending on your browser and click on “Add to Chrome/Add to Firefox” option and grant the permission to view and change all google.com sites. That’s it! If you’re still aren’t convinced to install an extension, you can still view the image by right clicking on the Image in Search result and selecting “Open Image in new window”. According to me, this is pretty neat and light weight and does what it advertises. No gimicks and spam Ads to ask for donations. Give it a try and let us know if you have some other alternatives.